Christjan Ilumäe is a distinguished and energetic singer and artist. He has been performing both as the leadinger of the dance band The News and as vocalist in duoformations and his performances have always been a great success. Since 2011 Christjan has performed onboard different cruise ships under Tallink and Silja Line brand, including MS Baltic Queen, MS Baltic Princess, MS Galaxy, MS Victoria I, MS Romantika, MS Silja Europa, MS Silja Symphony and others. 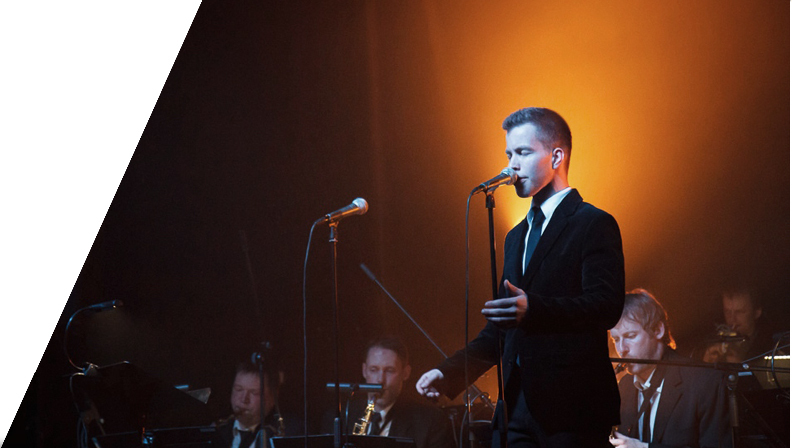 He has also performed in Tallink operated Hotels in Tallinn.As Tallink and Silja Line operate on various routes on Baltic Sea, Christjan has entertained audiences from many different countries and at different venues. Withmore than 1000 guests in the crowd at some of our larger night clubs. Christjan has always been highly artistic and trustworthy performer and has shown great professionalism at all times. It has been a pleasure working with him and we lookforward to cooperating with Christjan in the future.